Vacuum cleaning is one of the more tedious forms of housework out there, so why not buy a robotic vacuum cleaner to take out all the effort? Here’s our pick of the bunch. Recently, robotic vacuum cleaners have lowered in price enough that they’re far more accessible to all than they used to be. For less than $200, you can buy a competent unit that will keep your home clean and tidy, while extending that budget will provide you with a few more useful features along the way. Many different brands are available but we’ve focused on Eufy and Roomba based units because they’re easily the best of the bunch. 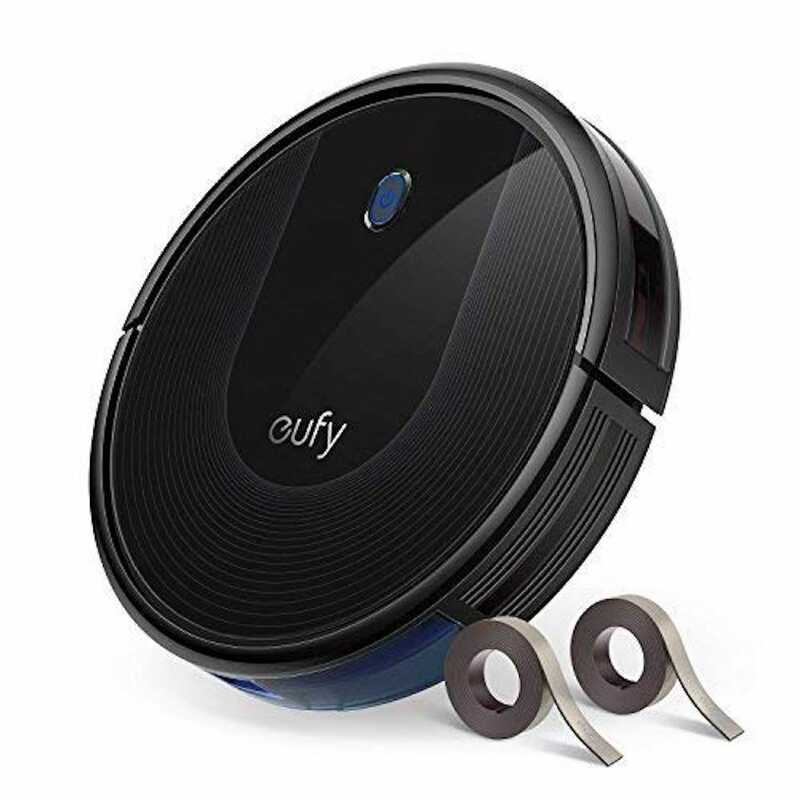 Eufy robotic vacuum cleaners overall are a little better than the Roombas, but it’s not always as easy to track down parts for them so if you need to consider long term usability, you might want to stick with Roombas. Whichever robotic vacuum cleaner you go for, don’t spend time watching it work. It takes away all the magic. Seriously. Few robotic vacuum cleaners are that bright and if you watch them, you’re going to notice them bang into things and the whole thing seems way less cooler than if you just come home and find your little robot helper has cleaned up for you. Regardless, here are the best robotic vacuum cleaner for every budget. The Eufy RoboVac 11S was pretty great when we reviewed it earlier in the year. It’s an even more worthwhile purchase now that it’s dropped in price a little. Super quiet yet super powerful when it comes to suction, the Eufy RoboVac 11S is exactly what most homes require. It has a suction power of 1300Pa with up to 100 minutes of constant power until it needs to head back to its charging station. It has a BoostIQ button which increases suction power as and when needed, as well as a few other options so you can leave it to do its business. There’s no smartphone functionality here, or mapping technology, but it’s not a huge loss for the unit. 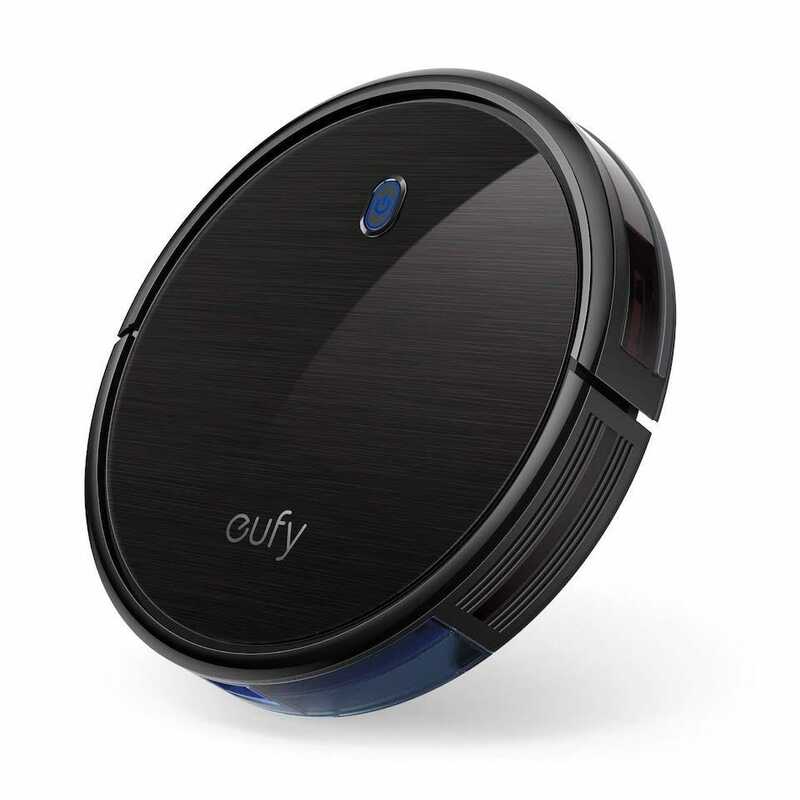 When it comes to raw power, the Eufy RoboVac 11S does the job admirably. Its slimline size means it’ll get into various areas that you can’t push a vacuum cleaner under too. 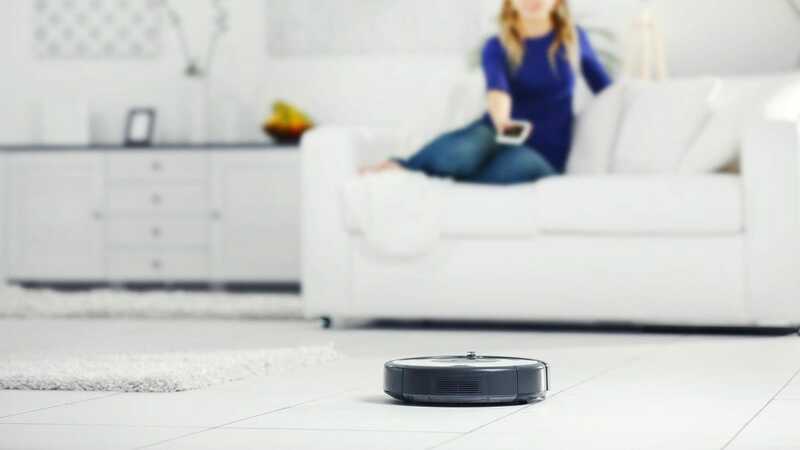 A robotic vacuum cleaner that allows you to set boundaries in your home tends to cost a fair amount more than one without the feature. The most expensive vacuum cleaners tend to use app functionality to allow you to virtually map your home and define where you want the robotic unit to go, but there is a more low tech (and cheaper) solution to the boundary issue — use magnetic strips to ‘draw’ a cut off line for your robot. The Eufy RoboVac 30 listens to these magnetic strips particularly well. It comes with 13 feet of magnetic boundary tape and it’s super easy to apply. Just place down on key areas of your home’s floor (such as to block off a particular room) and you can safely leave the Eufy RoboVac 30 to do the rest of the hard work. Besides the fact it listens to the magnetic strips, it works a lot like the Eufy RoboVac 11S, albeit with a slightly more powerful suction engine (1500Pa this time round). There’s no app functionality here but it’s that little bit smarter thanks to its recognition of boundary strips. You can be secure in the knowledge that your RoboVac won’t get into trouble while you’re not at home. The iRobot Roomba 690 is a fairly smart piece of tech. Thanks to its Wi-Fi connectivity, it listens out for commands via Amazon Alexa and Google Assistant. It’s also easily scheduled from anywhere thanks to its iRobot Home app. It’s good to feel in control, right? 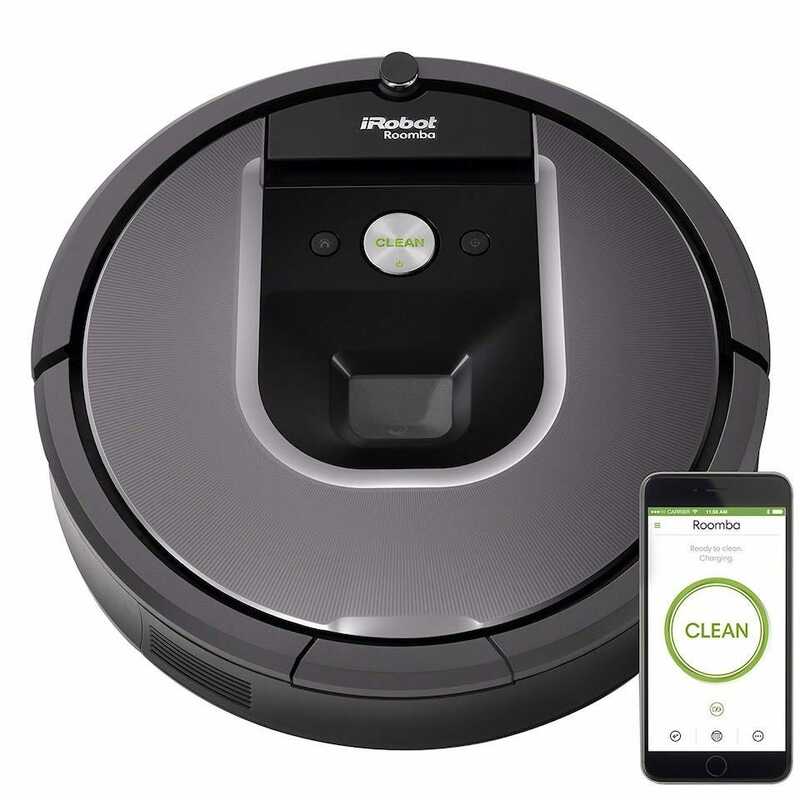 Admittedly, it’s not quite as powerful as either of Eufy’s offerings, and its battery life is a little lower at 90 minutes, but if you need to be able to control it from your phone, it’s tough to beat the iRobot Roomba 690. 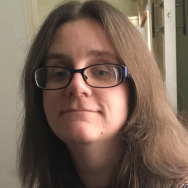 Its app is intuitive and takes seconds to learn, and being able to receive notifications of any potential issues is a huge advantage if you’re away a lot. In real world terms, the slightly reduced suction won’t bother you too much in the long term either. If there’s a little more room in your budget then the iRobot Roomba 960 is a solid option to pursue. Its suction power is a little stronger than most (although it’s not quite as slimline as the Eufy vacuum cleaners) but it’s the little extra details that make this worth the extra outlay. It utilizes iAdapt 2.0 Navigation which means it knows what it’s doing and where. It detects obstacles at a far superior rate than others, providing there’s some light in the room, and it builds a post-cleaning map to show you exactly what it’s done. That impacts the battery life a little, but 75 minutes is more than good enough for most users. This package also comes with an extra Dual Mode Virtual Wall Barrier device which is fancy talk for a kind of virtual magnetic strip, so you don’t have to worry about ugly looking strips around your home. It’s a strong all-rounder. You may have noticed that none of the robotic vacuum cleaners here are particularly big. That means they’re speedy and able to get into small areas, but it also means that you need to empty them regularly. With limited capacity, their ability plummets if you’re not there to maintain them in between cleaning sessions. The iRobot Roomba i7+ is for the super lazy. It has all the features you’d expect of a regular Roomba, but the added bonus of a self emptying compartment. 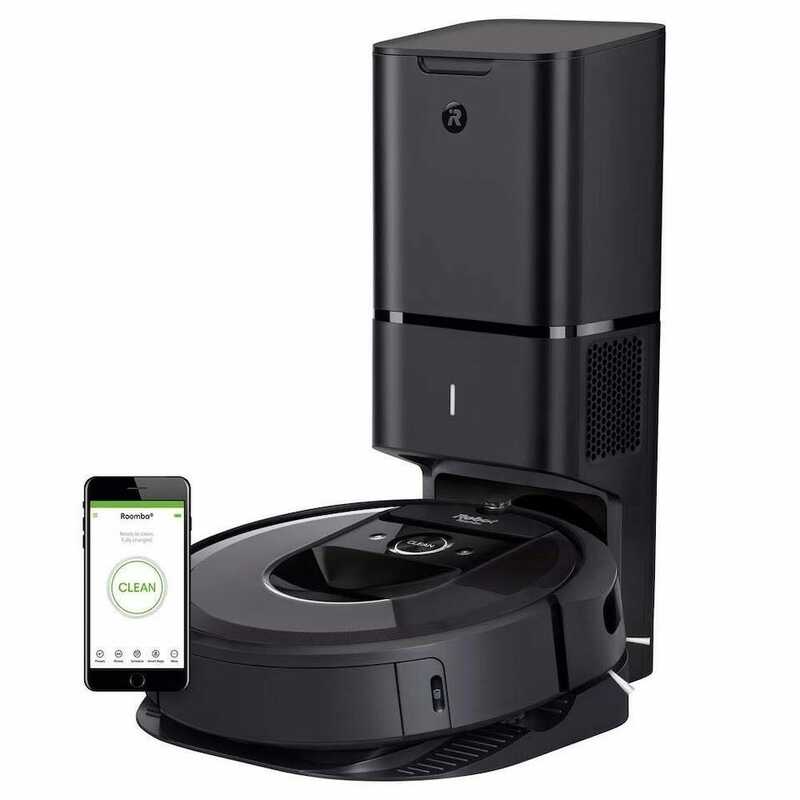 As the picture shows, the docking station is much bigger than other robotic vacuum cleaners because it’s also a place to deposit dirt and dust. As soon as the Roomba returns to base, it automatically empties into a disposable bag that holds up to 30 bins worth of dirt and dust, so you don’t have to worry about emptying it for weeks at a time. 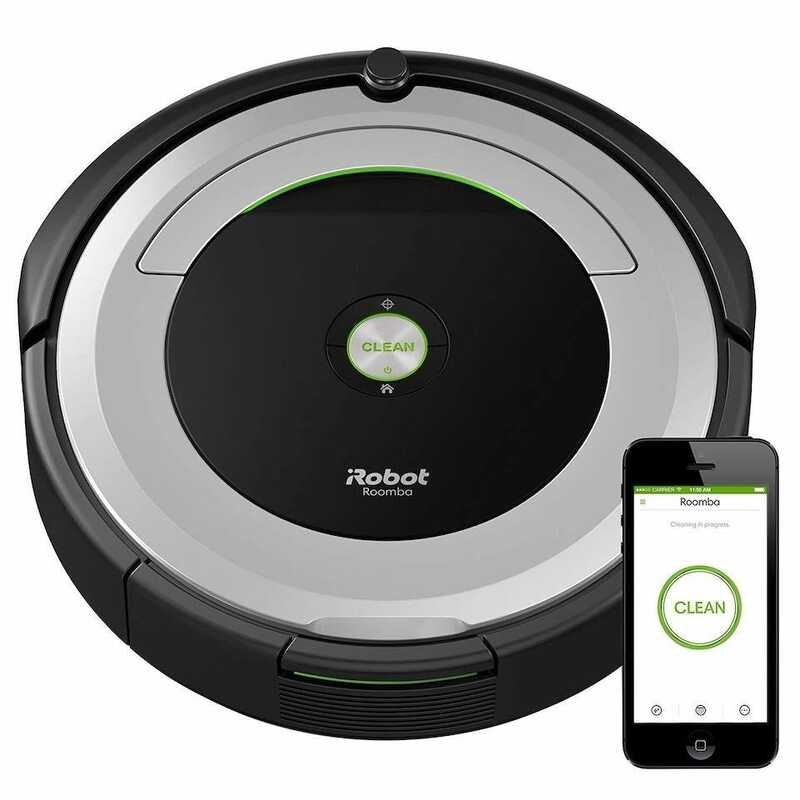 It’s far from cheap, given it’s over twice the price of the iRobot Roomba 960, but if you’re keen to avoid needing to be hands-on, it’s pretty unbeatable.